Located in Woollamia, Paperbark Camp is on a river, a 4-minute drive from Jervis Bay Maritime Museum and 5 minutes from Huskisson RSL. 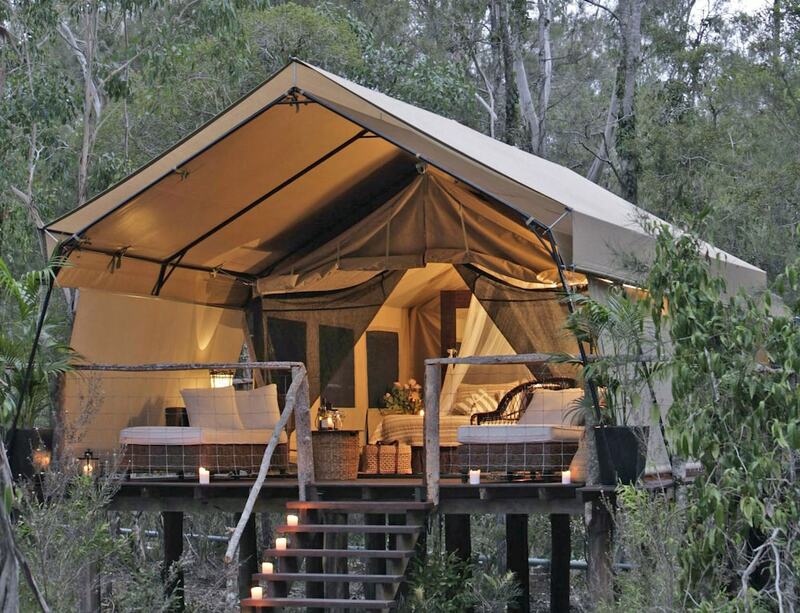 This hotel is 11.6 mi (18.7 km) from Hyams Beach and 12.2 mi (19.6 km) from Booderee National Park. Make yourself at home in one of the 2 guestrooms. Rooms have private furnished balconies or patios. Complimentary wireless Internet access is available to keep you connected. Private bathrooms have rainfall showerheads and designer toiletries. Pamper yourself with onsite massages, body treatments, and facials. Additional amenities at this hotel include complimentary wireless Internet access, babysitting/childcare (surcharge), and gift shops/newsstands. Enjoy a meal at the restaurant or snacks in the hotel's coffee shop/café. Wrap up your day with a drink at the bar/lounge. Cooked-to-order breakfasts are available daily from 8 AM to 10 AM for a fee. Featured amenities include complimentary newspapers in the lobby, dry cleaning/laundry services, and a safe deposit box at the front desk. Event facilities at this hotel consist of a conference center and a meeting room. For a surcharge, guests may use a roundtrip airport shuttle (available 24 hours) and a train station pick-up service.